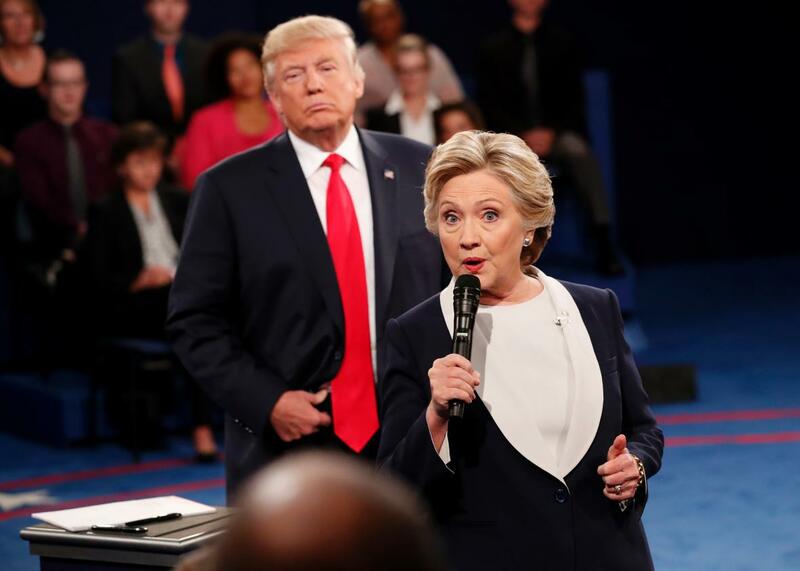 Clinton’s greatest debate accomplishment was ignoring Trump as he lurked behind her. That respect doesn’t extend to Hillary Clinton, whom Trump repeatedly photobombed during the debate. During Clinton’s time, Trump wandered around the stage like a bored child at a wedding. He paced back and forth like a patriarch impatiently allowing a woman to speak but thinking better of it. He hovered a few feet behind her like a psycho killer about to burst through a glass window in a horror movie. This move did not go over so well on social media. Trump is literally just lurking behind a small woman counting the seconds while she speaks to then complain about how long she is speaking. For a man who seems to completely lose focus within half an hour of the start of any televised debate, Trump really ought to conserve his energy. Next time, Donald, sit down.